The volume of superyacht sales in 2016 so far is very similar to the first seven months of 2015, with 227 sales completed this year, compared with 230 in the same period of last year. However, one trend that we have observed is a slight rise in the number of older yachts that are changing hands. The average age of a yacht sold between the months of January and July 2016 is 12.05 years, compared with an average age of 11.62 years for the same period last year and 11.66 years in 2014. 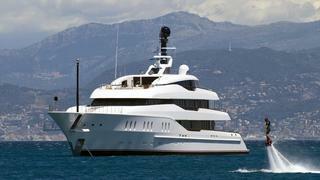 Vassilis Fotilas, commercial director for Europe at Fraser Yachts has noted this pattern. “The average age of yachts sold remains fairly stable; 12 years in 2015 and 13 years in 2016,” he told Boat International. “Positive news comes from the sailing yacht market, which after a couple of slower years is back to more normal levels,” Fotilas adds, reinforcing a point we observed in our superyacht market report for June 2016. 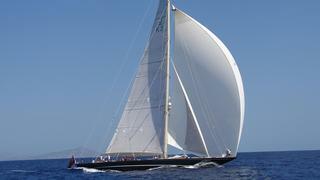 Key examples of older yachts being successfully sold include the 1929 J-Class yacht Shamrock V (pictured above), which was sold in March byEdmiston & Company, and Fraser Yachts’ April sale of 1966 explorer yacht Amazon Express. The upcoming US presidential election is likely to dampen enthusiasm for yacht purchases, new research from Denison Yacht Sales suggests. The Florida-based broker recently released an analysis of its sales data that revealed an 8.1% drop in sales for the month of November during the election years of 2004, 2008 and 2012, when compared with non-election years, suggesting that potential buyers may be deterred by the uncertainty created by a presidential election. Joe Foggia, sales broker at Northrop & Johnson concurred with this conclusion, saying: “The first quarter of 2016 was substantially down from first quarter of 2015. I attribute this to the insecurity of the election year in the US creating instability and anxiety.” What's more, this could have a significant effect on worldwide superyacht sales, as a recent report from Wealth-X and Camper & Nicholsons International revealed that Americans make up 33% of the world’s superyacht owners. The upcoming US presidential election is likely to dampen enthusiasm for yacht purchases, new research from Denison Yacht Sales suggests. 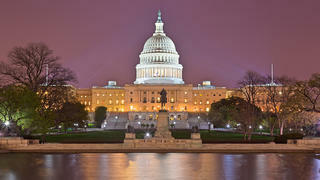 The Florida-based broker recently released an analysis of its sales data that revealed an 8.1% drop in sales for the month of November during the election years of 2004, 2008 and 2012, when compared with non-election years, suggesting that potential buyers may be deterred by the uncertainty created by a presidential election. What's more, this could have a significant effect on worldwide superyacht sales, as a recent report from Wealth-X and Camper & Nicholsons International revealed that Americans make up 33% of the world’s superyacht owners. Extended cruising ranges have resulted in an increase in larger yachts being refitted in New Zealand, according to one of the country’s largest facilities. He added that the average refit duration has “generally remained the same” despite the more stringent survey requirements that larger yachts bring with them, and the yard endeavours to work around owners’ cruising plans. 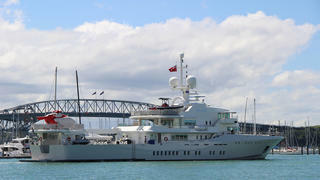 His observations are backed up by fellow Auckland refit yard Integrated Marine Group, which recently reported a record refit season, with completed projects including the 60 metre Schweers yacht Senses (pictured above) and the 73 metre Silver Yachts Dragonfly.